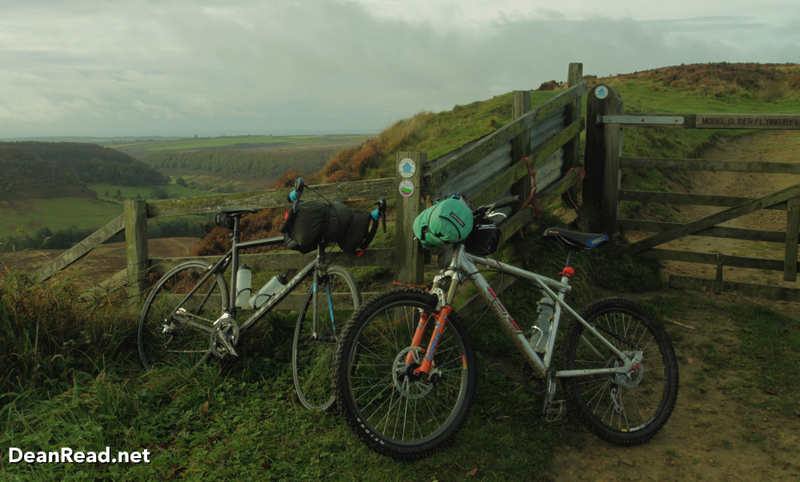 In this video my friend Stevo and I head to the North York Moors for 3 days of bikepacking. 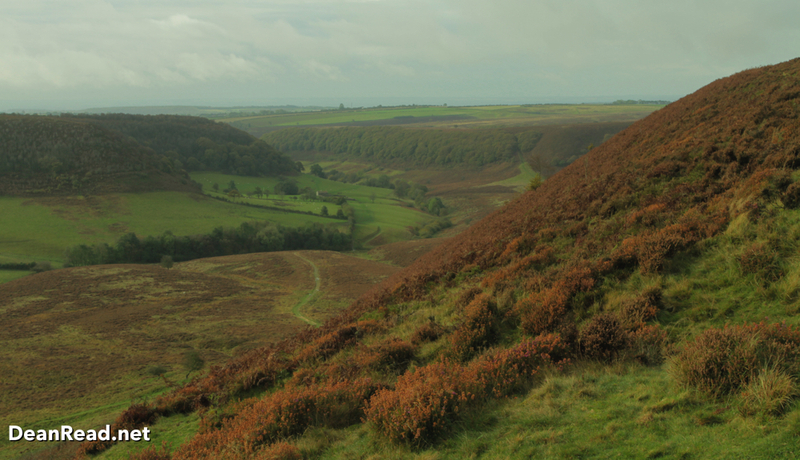 The route takes us along the Cinder Track, up on to the Moors and to the Hole of Horcum. 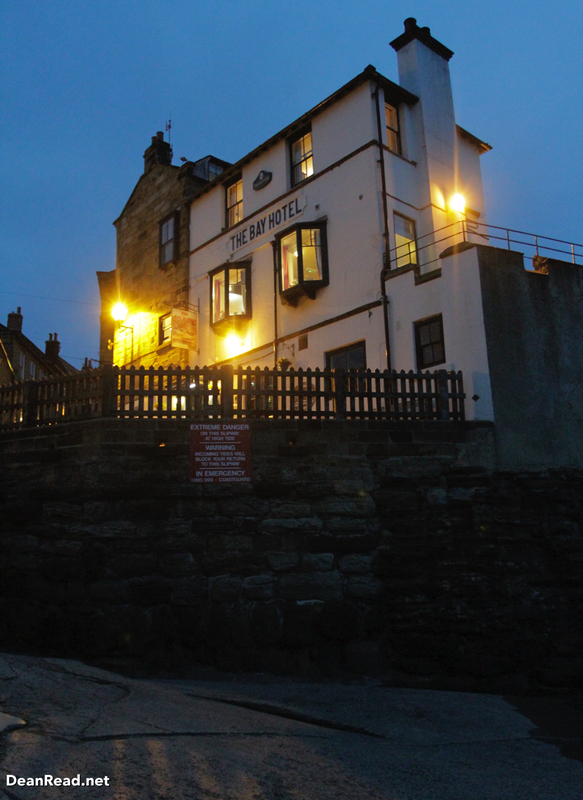 We visit Goathland, Whitby then spend a wet and windy night under a tarp at Robin Hood’s Bay. 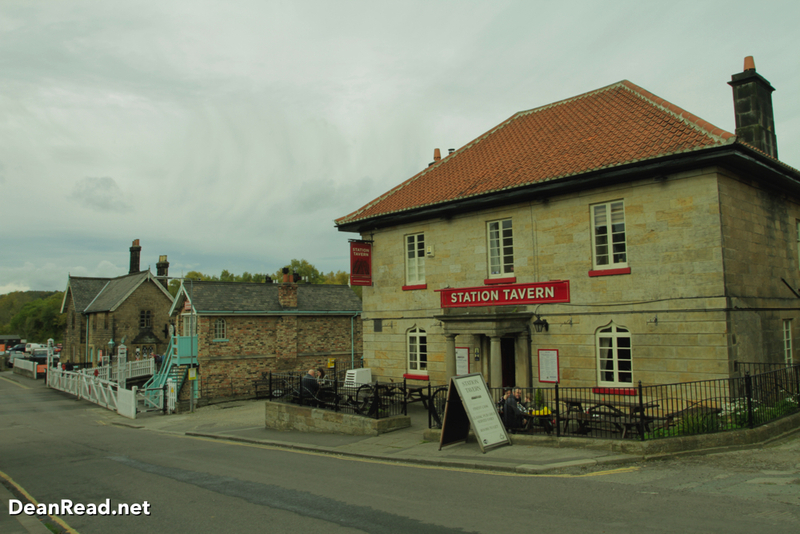 We began the adventure by parking the car at Cloughton, loading up our bikes and then setting off along the Cinder Track in a southerly direction towards Scarborough. It was a very last minute trip but we had a very rough idea about the route, the weather was due to be rather changeable so our plans weren’t set in stone for this one. Stevo and I hadn’t done any real bikepacking before so this was to be a test flight, basically to see if we would enjoy it before spending on specialist bike gear. 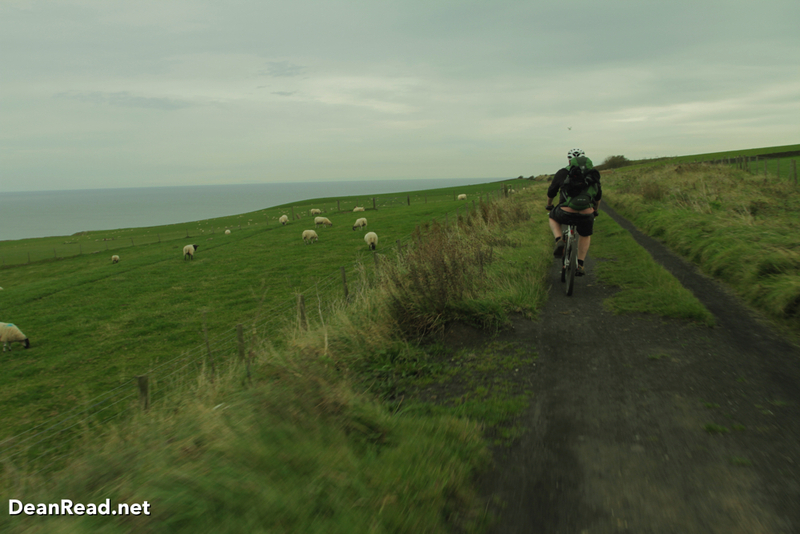 Once we arrived in Scarborough we headed inland and began the climb through Raincliffe Woods before doing a short road section towards Wrench Green. 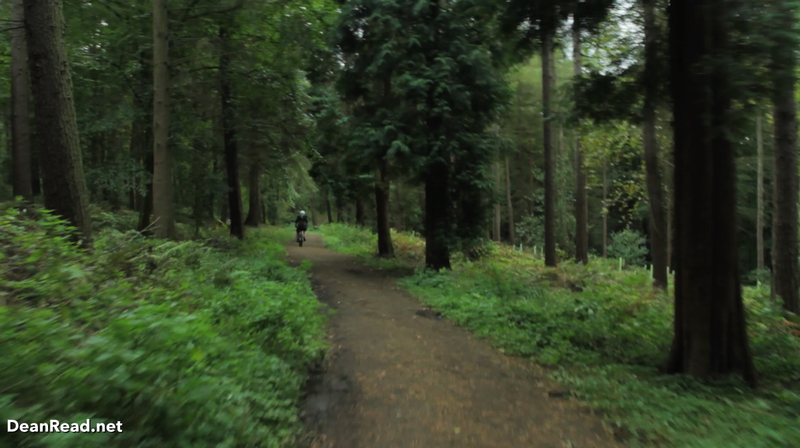 The next part of the route took us up a rather steep track in to Wykeham Forest where we joined the forestry tracks. We then navigated some bridleways over towards Dalby Forest before flying down the hill to Dalby Bike Barn, i’d intentionally planned to pass by the bike shop here just incase we had any issues with the bikes… luckily everything was going well so after a short stop to have a look inside we moved on towards Lockton. Upon arriving in Lockton the heavens opened so there was no chance to stop and look around, we flew down the hill and then began the sharp climb up to Levisham. I’d noted in my research that there was an excellent pub in Levisham called the Horseshoe Inn, as we ready for some refreshments we decided to call in for a pint to get out of the rain… One thing led to another and we ended up chatting by the fire too long so made the call to stay at the pub for the night 🙂 You know how it is, we’d intended to camp as we had all our gear but the lure of the fire and fine ales was just too much, The Horseshoe Inn has numerous accommodation options but Stevo and I decided to grab a single room each at a very reasonable price. We treated ourselves to a slap up meal before retiring for the night. 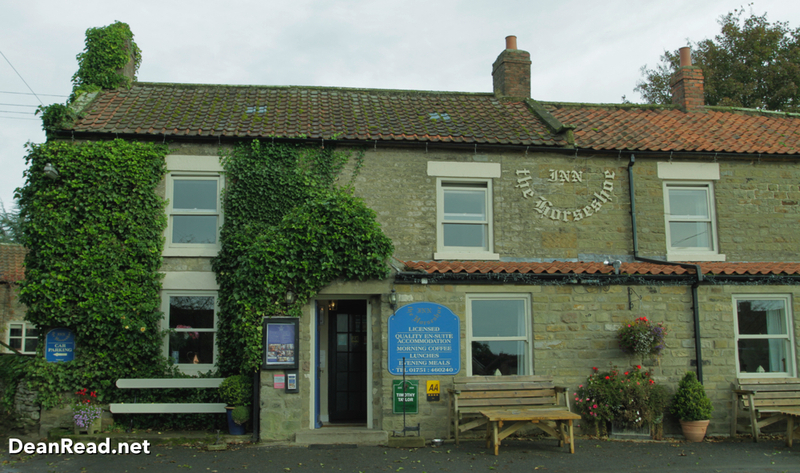 I honestly cannot recommend the Horseshoe Inn enough as the owners were very hospitable indeed, they didn’t mind the fact we were initially covered head to toe in mud and even stored our bikes for the night in the garage. The breakfast included in the room rate was excellent and after settling the bill we loaded up our faithful steeds and waved goodbye. 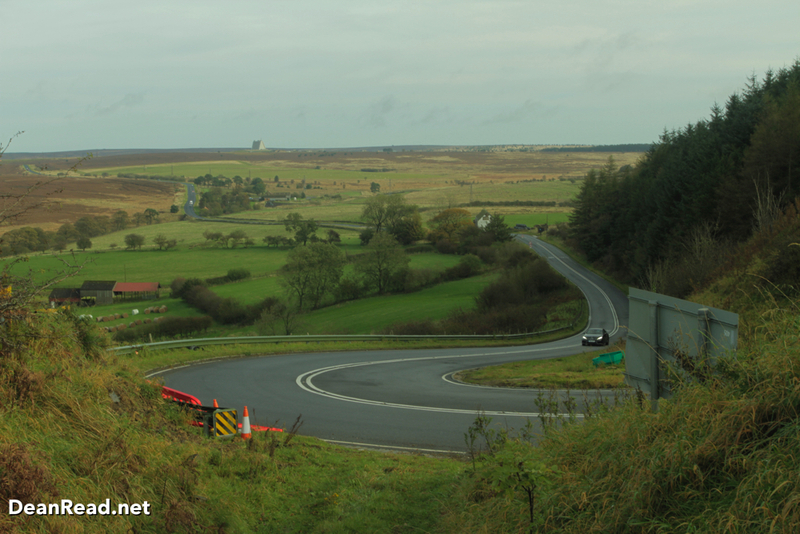 The next part of the route was a section along the busy A169 past RAF Fylingdales before turning off towards Goathland. We got through this section as quickly as we could as the road is rather busy an even though I own a road bike I’m not a huge fan of road riding…. 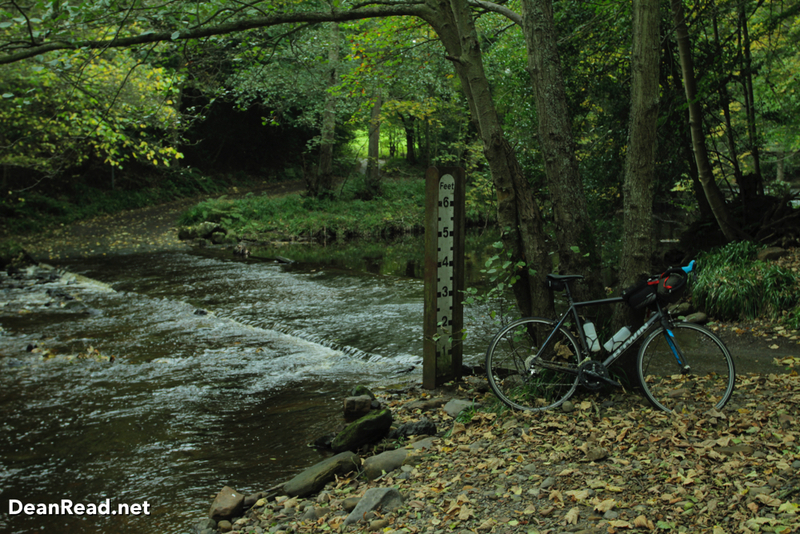 I quickly discovered that when commuting to work soon after buying it, I much prefer trails, bridleways and quiet lanes. 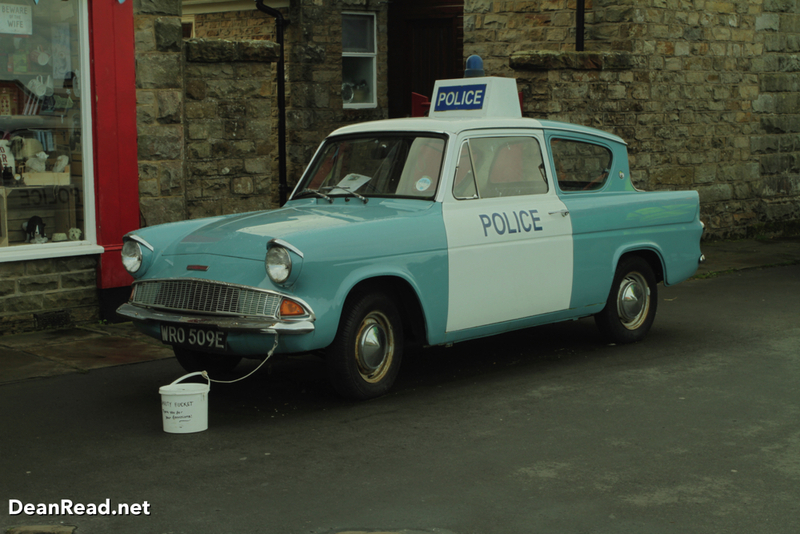 We soon arrived in the very picturesque village of Goathland which was made famous by the TV series Heartbeat, that is certainly where I know it from. 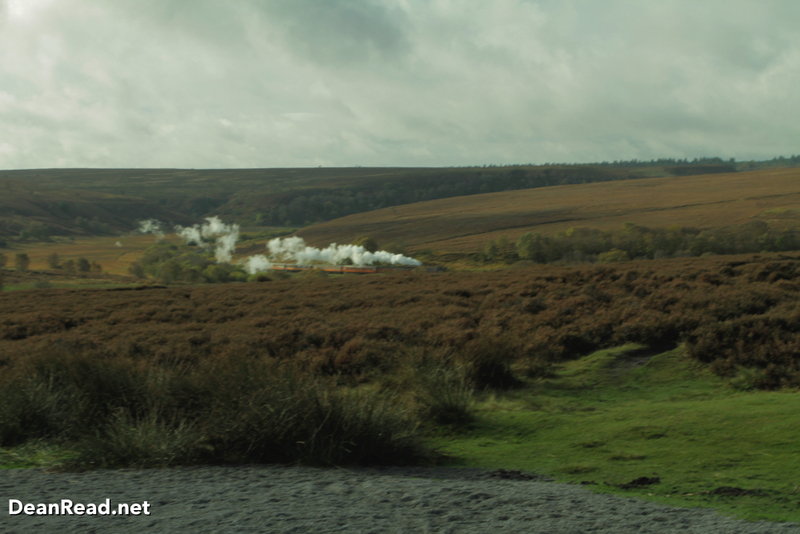 We even spotted the steam train running along the historic North York Moors Railway which goes from Pickering to Whitby. 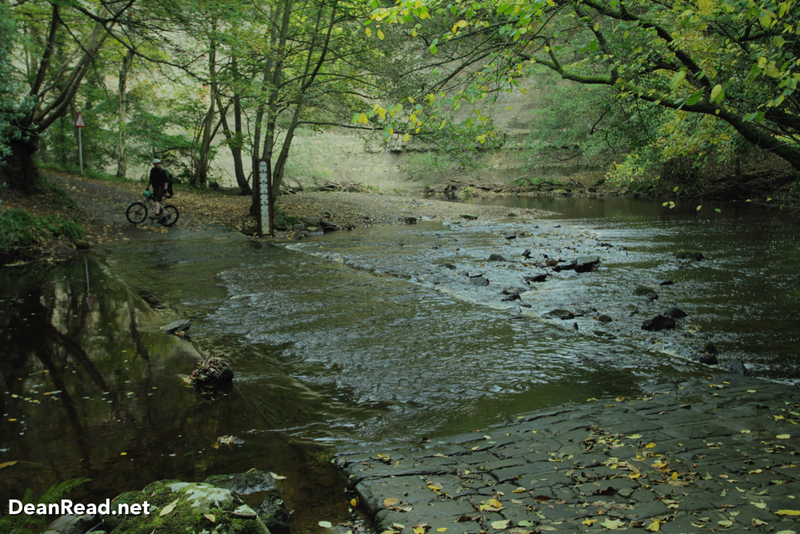 After a short stop for refreshments at the Goathland Hotel aka Aidensfield Arms we got back on the bikes and flew down the nice descent to Beck Hole. 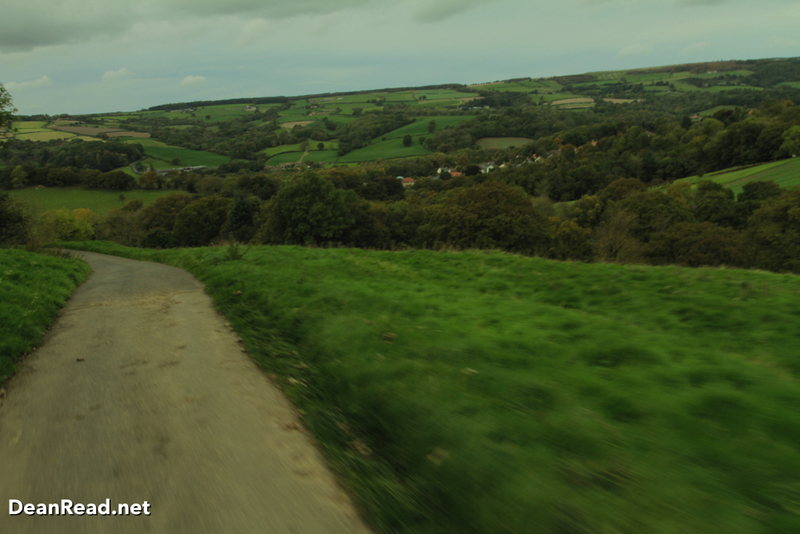 It was a thoroughly exhilarating ride down but it is slightly dampened by the sharp climb back out of the valley. We arrived in Grosmont just in time to see the steam train again before embarking on another hard climb out of the valley. 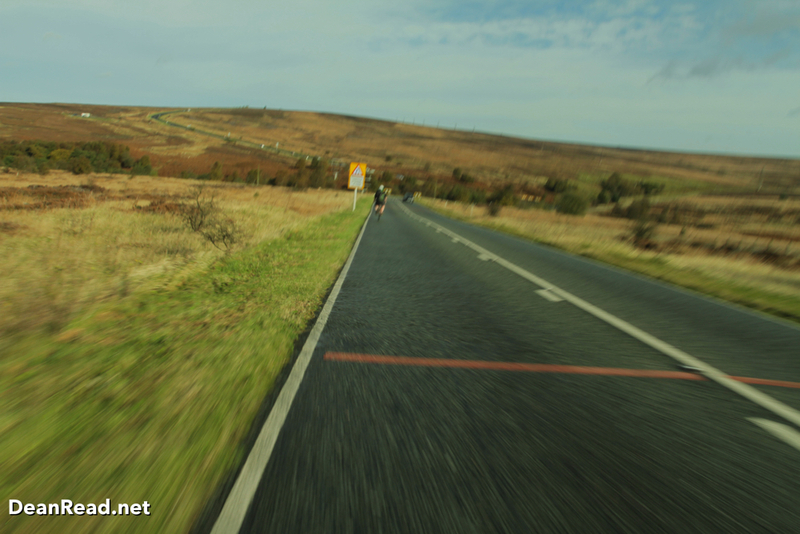 Day 2 was certainly a day of sharp climbs followed by fast descents, It really was great to get to explore parts of the North York Moors that I’d not personally visited since my childhood. 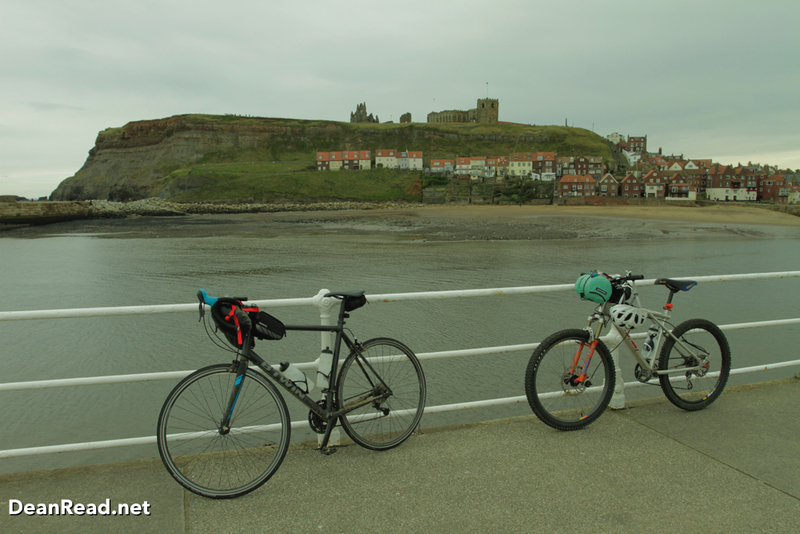 After another series of climbs we arrived back on the Cinder Track once again which we then followed towards Whitby, we were both craving Chips after burning off all those calories in the hills. We were lucky with our timings as we arrived at just the right moment to see the steam train passing underneath the spectacular Larpool Viaduct. 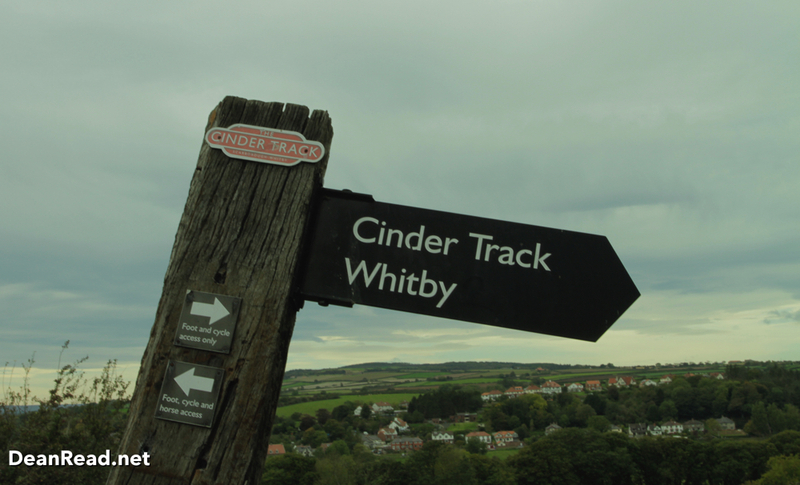 The viaduct is an amazing feature on the Cinder Track and is one of the final landmarks before you arrive in Whitby. Once in Whitby we grabbed food, made our way down to the harbour wall and sat watching the world go by while replenishing our energy levels. 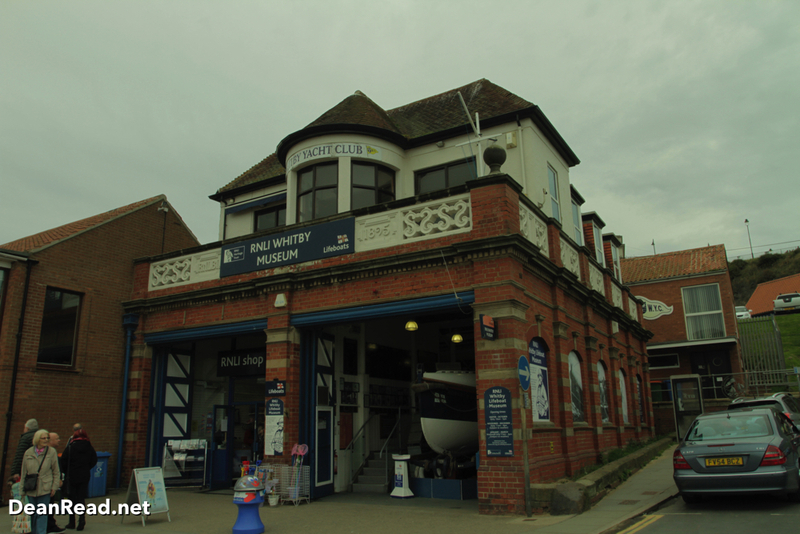 Whitby is a very picturesque seaside town and is famous for many things, The legendary Captain James Cook was born nearby and his ship the HMS Endeavour was built here. It was originally launched as the Earl of Pembroke in 1764 but after a refit it became the Endeavour in which Cook made that journey of discovery to New Zealand and eventually Australia in 1770. Having a strong connection to Australia (I was born there) means I’m fascinated by that period in history, the voyages and what happened through the years which has led to the nation that exists today. 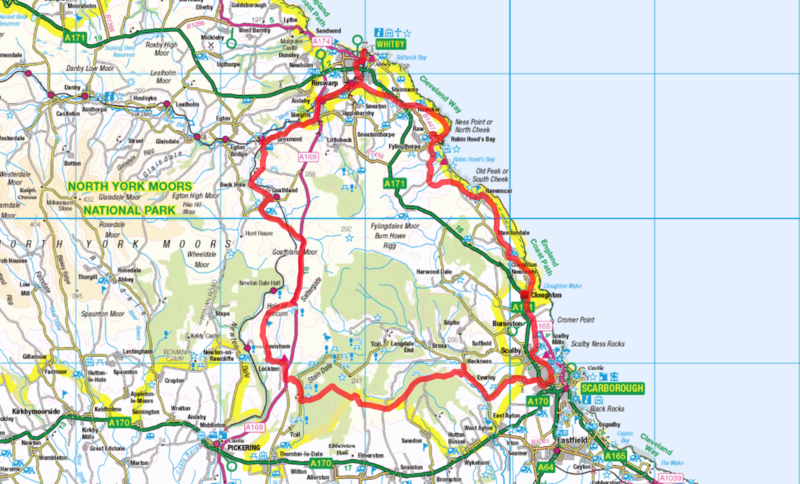 After spending an hour or so in Whitby we rejoined the Cinder Track and began the gentle climb up and over towards Robin Hoods Bay. 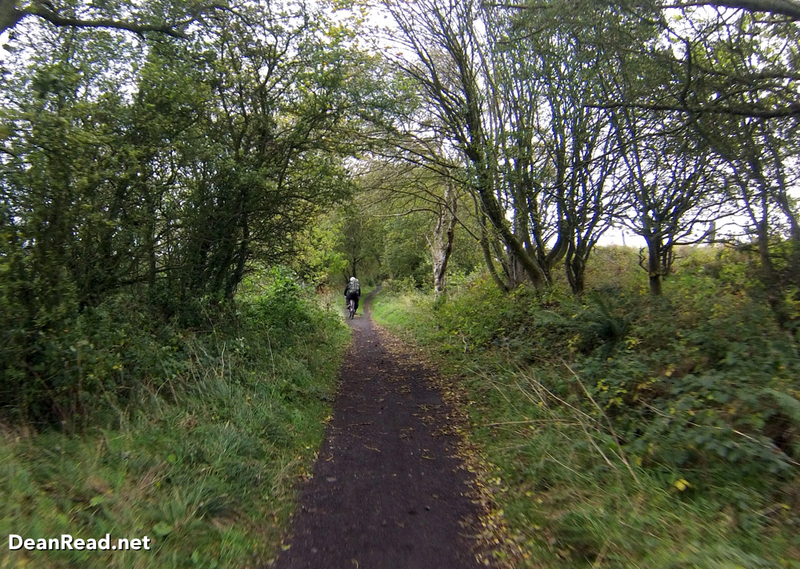 This section of the route was very enjoyable and perhaps one of the nicest parts of the Cinder Track. 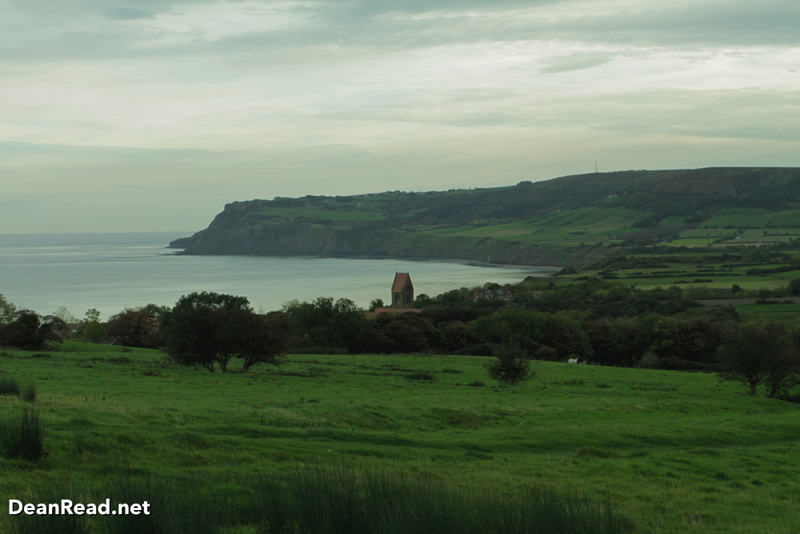 The views before you arrive in Robin Hood’s Bay are stunning as the track heads along the cliffs before dropping down into the village. We had decided to revisit a place that my daughter and I had camped at a few years ago which has amazing views of Robin Hood’s Bay… The Hooks House Farm Campsite. 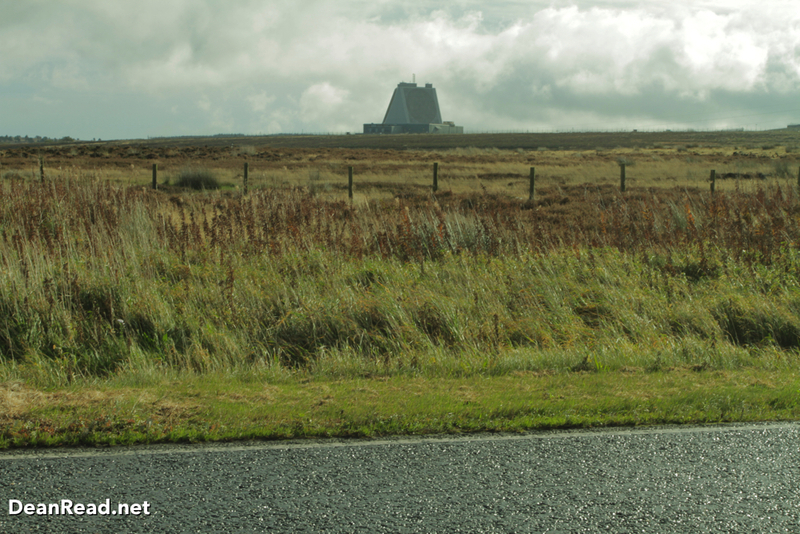 You can check out the blog post from the trip I did with my daughter here -> North York Moors – Cliff Top Walk & Roseberry Topping. 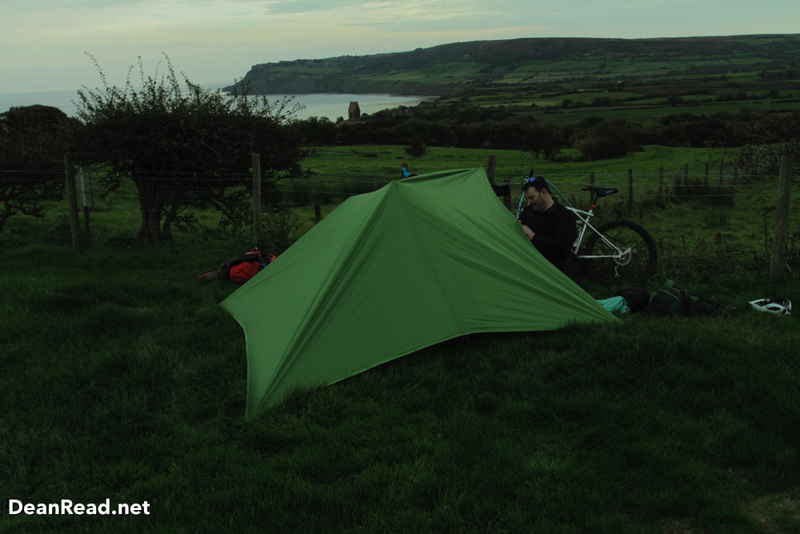 Hooks House Farm is a really nice campsite and we managed to pitch the tarp with great views down towards the bay. We chained our bikes to the fence, chucked our bivvy bags inside and then walked down to the Bay Hotel for food and drink. We spent a good 3 or 4 hours putting the world to rights before walking back up the hill in darkness to get some sleep. 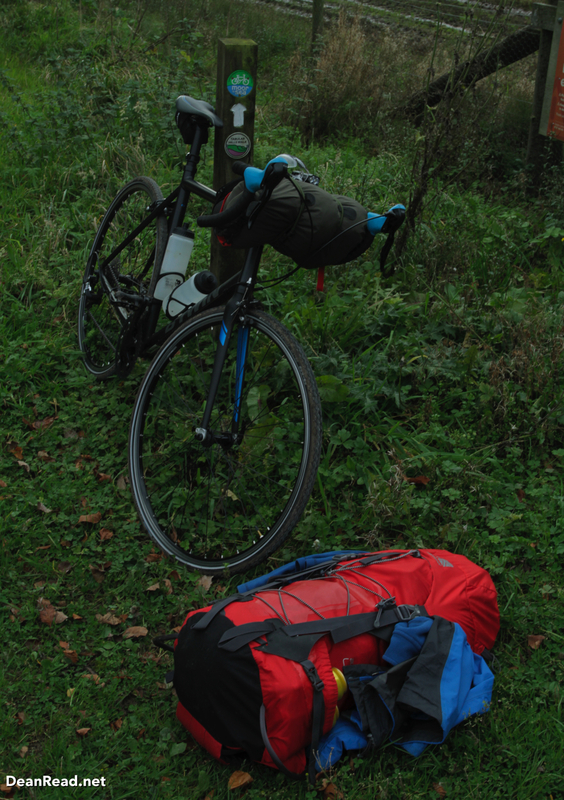 The third day of our adventure was a very short one and it began with us packing our kit away rapidly between torrential rain showers. It had been raining most of the night and it was definitely a day for my Canon DSLR to be packed away inside the bag, luckily I had remembered the GoPro so it took over filming duties for the final leg. 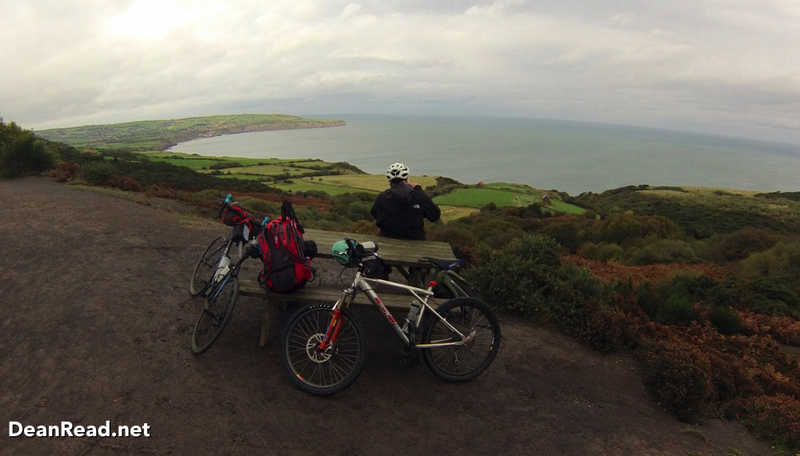 The climb up to Ravenscar from Robin Hood’s Bay is very pleasant and every now and then you get a glimpse of how far you have come. The rain was intermittent throughout the morning and the wind was rather strong, despite that though it was a thoroughly enjoyable ride. 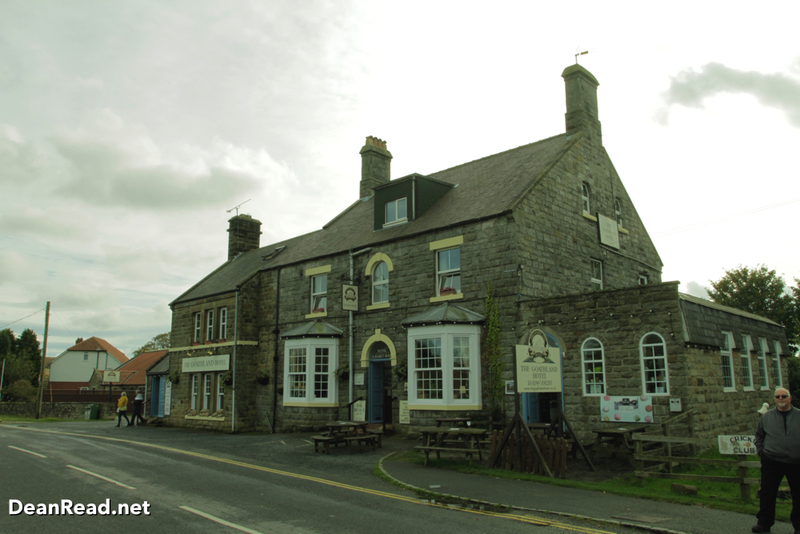 Once we had arrived at Ravenscar it was down hill nearly all the way to Cloughton. 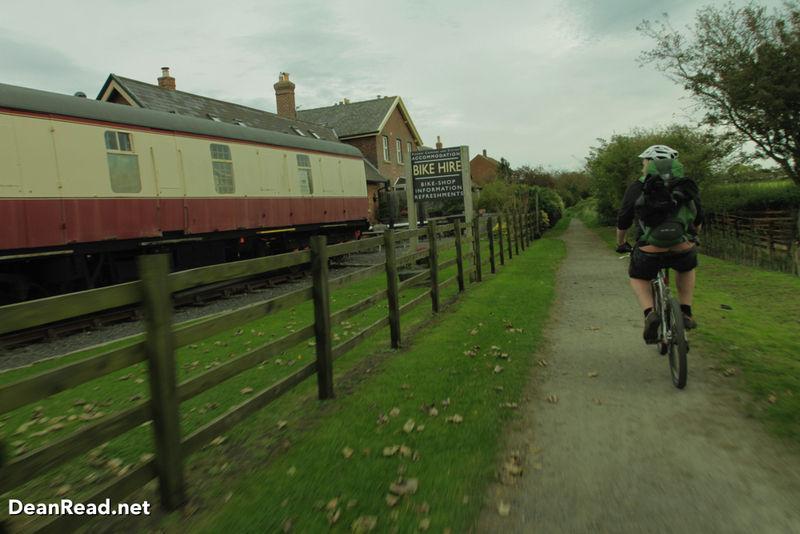 We arrived back in Cloughton 48hours after leaving having covered a leisurely 70 miles with 1,456 metres of height gain. 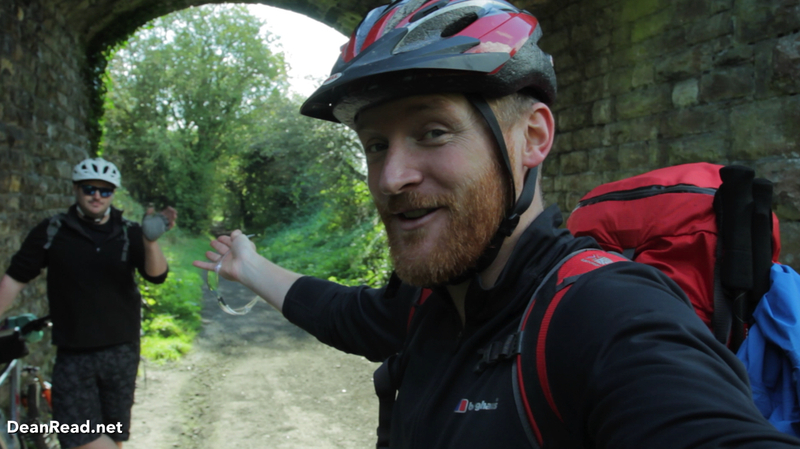 We have both been bitten by the Bikepacking bug and I’m so glad Stevo suggested we head to the North York Moors. It was an excellent route and there are so many options to make it longer or shorter depending on your time or fitness levels. 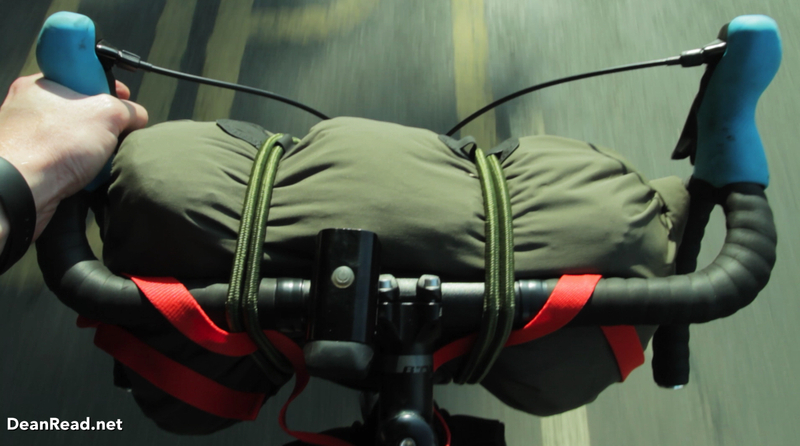 I can’t wait to get back out on the bikes again soon, we’ll be investing in some kit to better spread the weight and reduce the need for a rucksack. I have my eye on more of the Alpkit Bikepacking range 🙂 Stevo and I have a rather big adventure coming up but I’ll fill you in on that later, thank you for reading and watching and I’ll speak to you again soon. The song I used in the video is a remix of a track from 1997 by Force & Styles called Pacific Sun, my friends and I loved the original so I couldn’t resist doing a quick remix.